“We’re going to try and raise over a billion dollars which is what’s going to be necessary,” Donald Trump said last month. If campaign fundraising was like income, Trump would be boasting that he has already raised well over a billion dollars. But since presidential campaigns are legally compelled to register their fundraising totals with the Federal Election Commission, Trump’s campaign turns out to have raised just $3.1 million last month. He is on pace to outraise Jill Stein, but is also way, way, way behind Hillary Clinton. This morning on Fox News, Trump said, “I’m not looking to spend a billion dollars.” Perhaps this bodes ill for Trump’s promises to use his business genius to make the country so very rich again. Trump’s strategy has always revolved around attracting attention from the news media, which gives him free publicity and allowed him to overcome better-financed rivals in the primary. But as Trump himself points out, the free media he’s attracting is overwhelmingly negative. (Trump on the Today show this morning: “With the horrible few weeks I had from the press, the press is treating me unbelievably unfairly.”) This was a totally predictable outcome. Trump’s game was to command media attention by constantly spewing outrageous comments, which endeared him to the Republican base but have repelled the general electorate. Crooked Hillary Clinton is totally unfit to be our president-really bad judgement and a temperament, according to new book, which is a mess! The disclosure that Trump’s campaign is laughably impoverished comes atop yet another shake-up, which saw him fire his campaign manager. 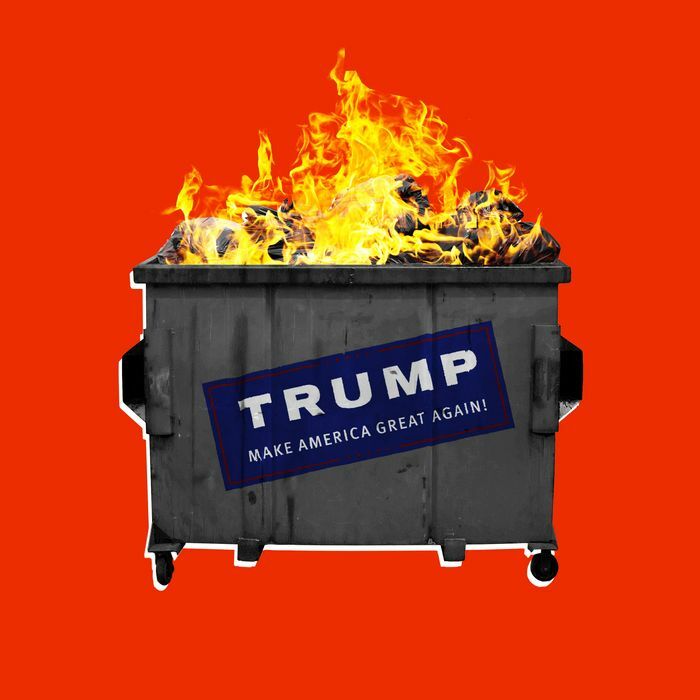 NBC News reports, “Trump did not fire Lewandowski face-to-face, a source said, instead delegating the task and then speaking to him on the phone later.” So Trump doesn’t even call people into his office and say, “You’re fired!” Everything about his image is a lie.